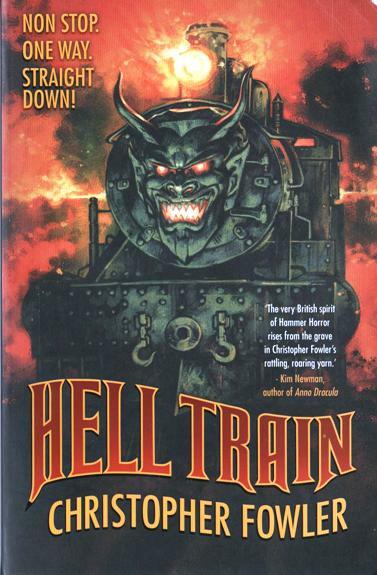 First thing to say is that I pre-ordered Hell Train on Amazon on the basis of the cover and title alone, and when I later read the synopsis of the novel I knew that my instincts were right. This is wonderful, gory stuff. I am a huge fan of Christopher Fowler, who in recent years has focussed mostly (but not entirely) on his remarkable Bryant & May series of detective novels, but I first came across him as a horror writer via the (sadly now out of print, I think) Darkest Day which I read on holiday in Istanbul; something about its style worked really well in the early evenings against the sound of the call to prayer. Since then I’ve read as much of his stuff as I can get my hands on and a number of his books have been reviewed here. I’m not going to go into the plot of Hell Train other than to say that it is about a group of passengers who find themselves on a sinister train, the Arkangel, somewhere in Eastern Europe around the time of World War One, and have to deal with some rather unpleasant situations before they reach their unknown destination. The story is book-ended by the tale of Shane Carter, an American who finds himself tasked with writing a script for Hammer Studios. Oh, I so wish this was a real movie. I grew up watching Hammer films on TV; I was a particular fan of the various Draculas (I’m sure that’s what triggered a lifelong interest in vampires), loving both Christopher Lee and Peter Cushing. I’m ashamed to say that I don’t think I’ve ever been able to watch the The Curse of Frankenstein since my first attempt ended in abject failure when I stayed up late as a teenager on my own to watch it on BBC 2 and couldn’t bear the Monster’s face when Lee pulls the covering from his face. Although it’s entirely possible I imagined the whole thing…. So this was definitely my cup of tea, especially as it is reminiscent of one the greats from the 1970s, Horror Express. They really don’t make them like that any more. But what of the novel? Well, quite simply I really loved this; a good framing device, an exciting story, some proper nastiness, excellent villains and characters you can really root for (I am looking at you, Isabella). I am sure there are absolutely loads of references and in-jokes that I didn’t get which will add to the enjoyment of a genuine film buff, but my verdict is great fun all round. I really need to start my RIP list right now. This sounds great! I need to get this! 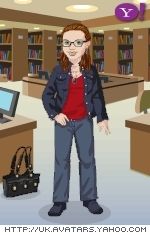 You are so bad (good) for my TBR list! It sounds so fun!!! I also watched loads of the Hammer films and one of the first ones I watched involved – David Niven? possibly? – who was possessed of an evil spirit, and killed everyone around him, eventually LIz Taylor. Every once in a while I see this film showing on late night, but i’ve never been able to watch it through, that 10 year old girl who first saw it is still scared – and from there my love of horror movies and books was born! lol They are corny and funny and scary, aren’t they, the old Hammer films?